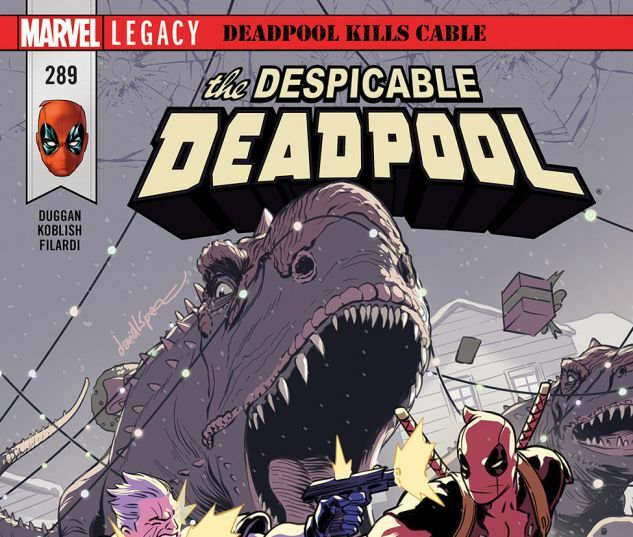 DEADPOOL KILLS CABLE Part 3. 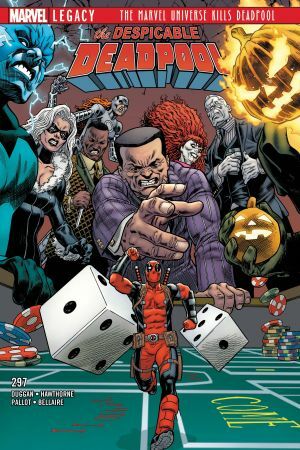 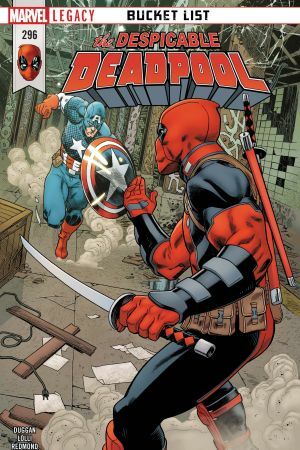 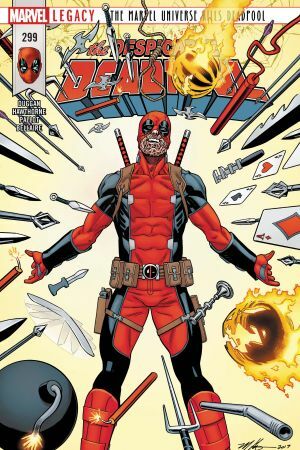 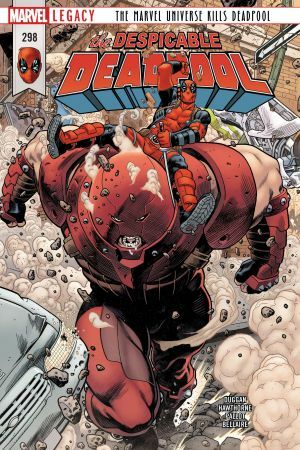 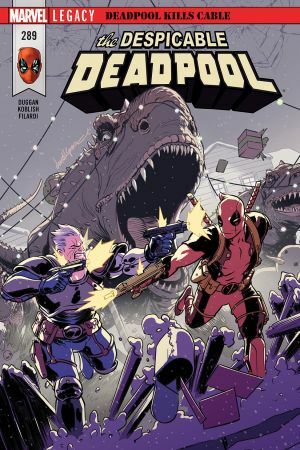 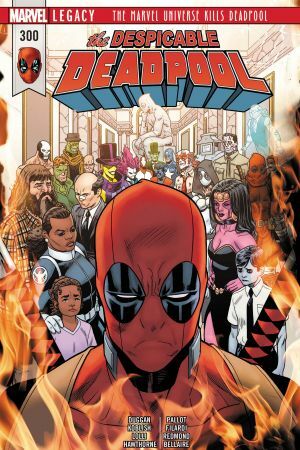 Yeah – Deadpool’s still on a mission to bump off his best buddy Cable...but that doesn’t mean he doesn’t have time to fight some DINOSAURS. 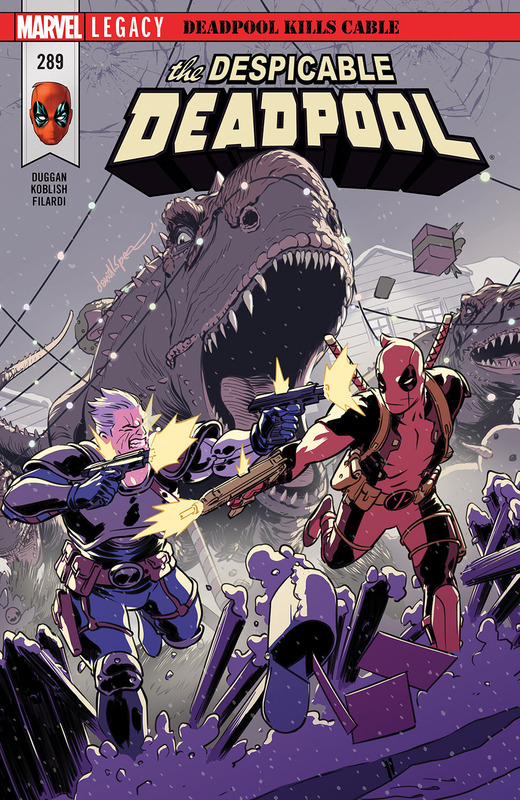 Because who wouldn’t want to punch a dinosaur?